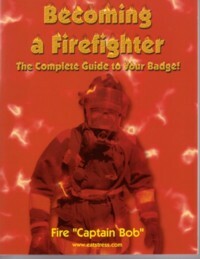 This book is dedicated to those who possess the burning desire to acquire a firefighter badge and become one of the last of America’s heroes. If you really want a firefighter job you will want to have every tool available to shorten the learning curve between you and that badge! Becoming A Firefighter contains information that has helped over 2,200 candidates nail their badges! Step by step, everything you need to know in the process, starting with the application, written, physical, oral, psych interview, background, polygraph, and medical to gain a badge. In this book, you will find the inside “nuggets,” tips and resources you can’t get anywhere else to shorten the learning curve and the distance between you and that badge. The Problem is Poor Oral Board Skills! Hope is the Anchor for the soul!